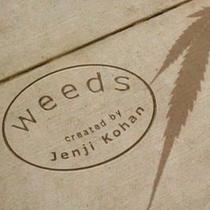 Rumor has it Netflix is looking to pick up the latest show by 'Weeds' creator Jenji Kohan. Showtime has a lot going for it with shows like 'Californication,' 'Dexter' and the show that put the channel back into the public mind, 'Weeds.' Netflix has been doing well with the shows too, and the streaming versions of Showtime's series has been a highlight of the service for many subscribers. 'Weeds' creator Jenji Kohan has a new show in the works and though it seems natural for Showtime to pick this one up as well, the folks at Netflix have something else in mind. They've got their eyes on original content to add to their lineup and the rumor mill says they'll be putting in a bid on the new Kohan show, based on a book about life in a women's prison. Netflix is also in talks with DreamWorks Animation. DreamWorks will reportedly offer Netflix exclusive streaming rights to its animated features - a deal that could be finished by the end of this week.